After a hysterectomy where the ovaries are removed, many women put on weight due to recovery time and hormone changes. While preventing extra weight gain and losing excess weight may be tricky, it is possible by making a few lifestyle changes. Pick one or two lifestyle changes to work on and then add a few more in a week, instead of drastically changing habits overnight, which is difficult to maintain. 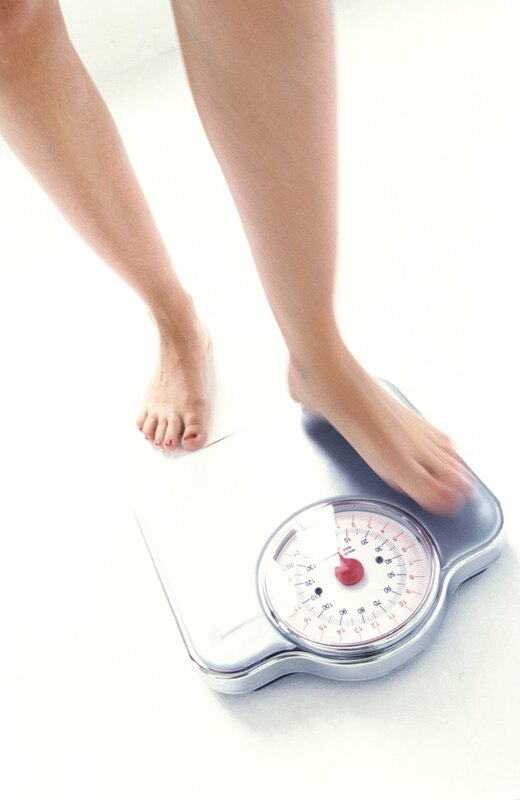 Decrease your calorie intake by 300 calories per day. Cut out continual snacking throughout the day, which leads to unnecessary overeating. Eat only when hungry and pay attention to the signals that your body is sending to you. Choose fresh, raw fruits and vegetables, as opposed to juiced, processed, cooked or canned. Whole grains, unprocessed or unrefined, are the healthiest forms of much-needed carbohydrates. Eliminate sugars, salts and fatty, fried foods from your diet as well. If you eat meat, choose lean, preferably white meat, to assist in weight loss. Increase physical activity to burn 200 calories per day. This is difficult during the recovery period following surgery, but healthy exercise routines can be developed once recovery is complete. Talk with your physician about what is a healthy, achievable exercise routine for your personal fitness and health. Begin slow and gradually build to a more intense routine. For example, go walking twice a week for 10 minutes the first week, then add another day and five more minutes until you're walking five to six days a week for 30 minutes, including one walk up a steep hill. Swimming and walking are two of the best forms of exercise for your body. Join a class at your local gym or rec center, or build your own personal routine to do at home when the weather is poor. Remember that any exercise is better than none at all. Find an exercise buddy to increase motivation. Relax. When the body is stressed, it produces cortisol, a hormone that contributes to the development of belly fat. Even stressing about gaining or losing weight can produce cortisol. Learn to relax and take some deep breaths. Get ample sleep to regulate the hormones ghrelin and leptin in your body, responsible for feelings of hunger and knowing when to stop, respectively. When the body doesn't get enough sleep, it feels hungry all day, often craving unhealthy foods. This can lead to long-term weight gain. On average, seven to nine hours of sleep are needed each night. Talk to your doctor before beginning any dieting or exercise regimen to determine what is safe for you. Can Anxiety Cause STD Symptoms?